Some folks get confused about what the difference is between a standalone theme and framework. The easiest way to think of it is that a regular theme runs completely by itself, without the help of a framework. A framework is the platform you use to build and customize your website, but most people pair a framework with a child theme, which assists in making the front-end of the site look pretty. For example, you may install the Genesis framework on your site, only to see that the front-end looks pretty bare-bones. That’s where child themes come into play. Once you have a framework installed, you can then select a child theme, for example, one that looks good for real estate agents, to bring in fancy designs for all of those features in the framework. That said, not all Genesis child themes are created equal, so keep reading to find the best ones. Ansel is a beautiful, responsive Genesis child theme for photographers. With a front page slideshow, photo-centric blog layouts, and featured image templates, it makes your images central to the design. Ansel is one of 12 Genesis themes for photographers by Imagely, all of which can be purchased as a bundle. 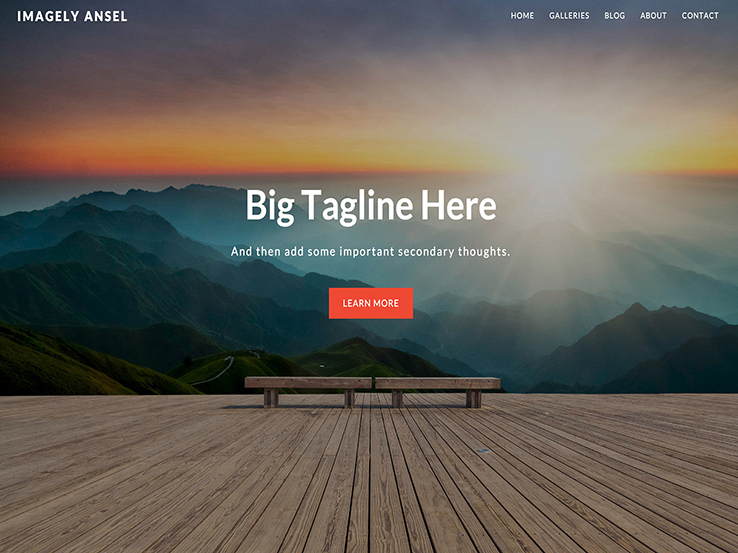 Ansel’s homepage starts off with a bold header that features a prominent call to action. The three widgets below the header serve as a great place to give a brief introduction about your services, followed by a widget that displays your featured works or blog posts. There are several different gallery layouts to display your photography in a visually appealing way. The theme integrates with WooCommerce, which makes it easy to sell your prints in various formats, and you can enable the eCommerce option on any gallery type. Aside from the standard blog layout, three additional layouts are available, all of which put a strong focus on your photography. Ansel is sure to grab the attention of anyone who visits your website. The Drone child theme pairs quite well with the Genesis framework if you plan on creating a blog or portfolio. The grid homepage layout features several photos or blog posts and you can also modify the message that displays at the top center of the homepage. Paired with high-resolution image capabilities and stunning lightboxes, you can’t go wrong if you want a simple, yet powerful child theme. Feel free to place videos on your website and use the slider feature to share large photos or to send people to new content or promotions. The theme supports a full blog and has various page templates that add variety to your website’s design. 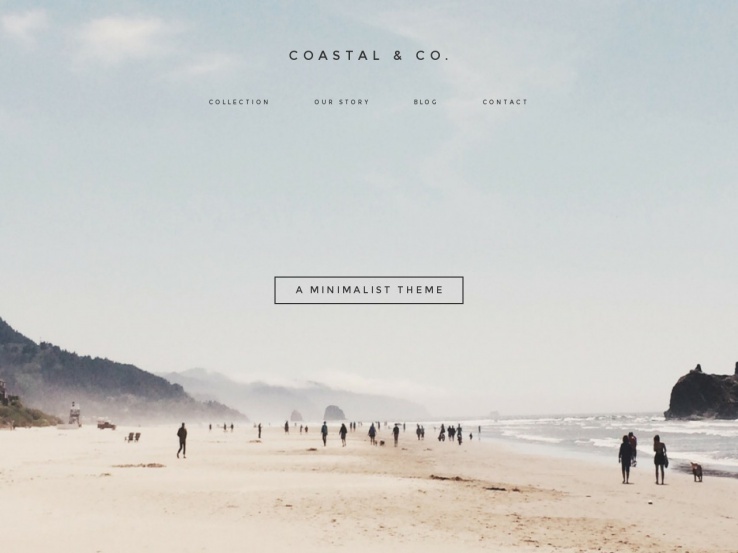 Coastal is a responsive child theme that works well for designers, photographers, and artisans. The homepage includes a full-width scrolling homepage that lets you remove or add sections whenever you want. The masonry grid layout is perfect for creating a portfolio layout to show off your recent projects. The live theme customizer is one of the standout features since it shows changes before you make them live on your site. The customization options are endless, with options for colors, fonts, background images, and more. You can even integrate your mailing list into the child theme. Choose from integrations for MailChimp, AWeber, Constant Contact, and more. The Sixteen Nine Genesis child theme offers a simple and unique design. The child theme is great for any blogger or author who wants to stand out from the competition. The theme comes with a custom background and its responsive nature ensures your website will look great on any device. Choose from two layout options, depending on how you want your sidebar to be positioned. The custom menus are wonderful for including links to your other pages. The fixed-width layout is a nice touch and the landing page option helps you bring more people to your site and push them through a sales funnel. 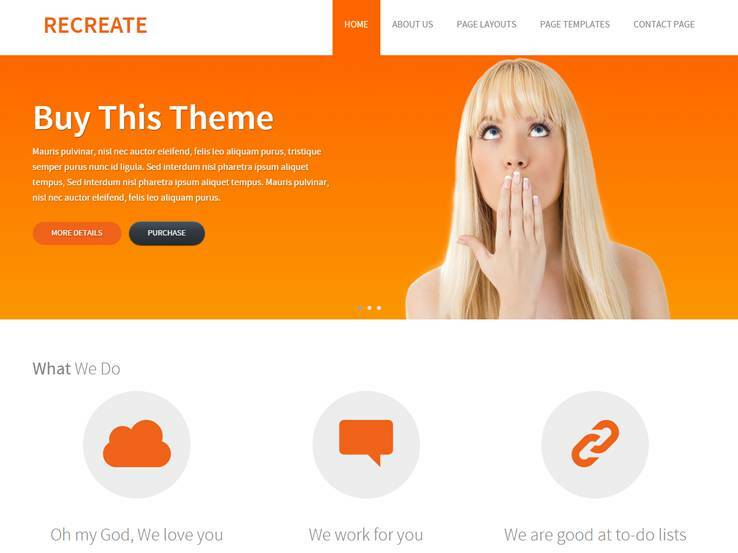 Theme options are seemingly endless and the custom header tops off the cool features. 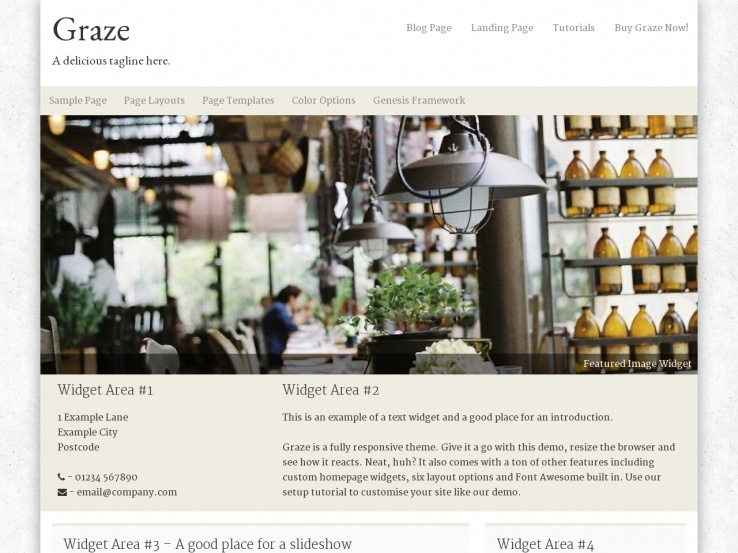 The Graze theme caters to companies or bloggers in the food industry. The child theme comes with a nice header area to place a logo and tagline. Select from various page templates including the landing page and blog page options. Tutorials are also available so you can set up your website quickly. Page templates add variety to your website and the widget areas allow you to add extra content to your website. The theme includes several social media buttons so you can grow your social media following and the footer also has customizable areas for additional information such as business hours, your address, and contact information. The featured image widget offers a unique way to pull customers in with high-resolution photos. Awaken is a responsive child theme with a beautiful slider to feature your latest blog posts or your products. The slider also supports text and buttons so you can add calls to action and encourage visitors to check out your products, promotions, or to grow your email list. The parallax scrolling is one of the best ways to grab attention and the various homepage sections allow you to share information about your team, contact details, pricing, and more. The theme includes a full-fledged blog and the filterable portfolio section makes it easy to attract new clients. The child theme includes a quotes section so you can include social proof on your website. 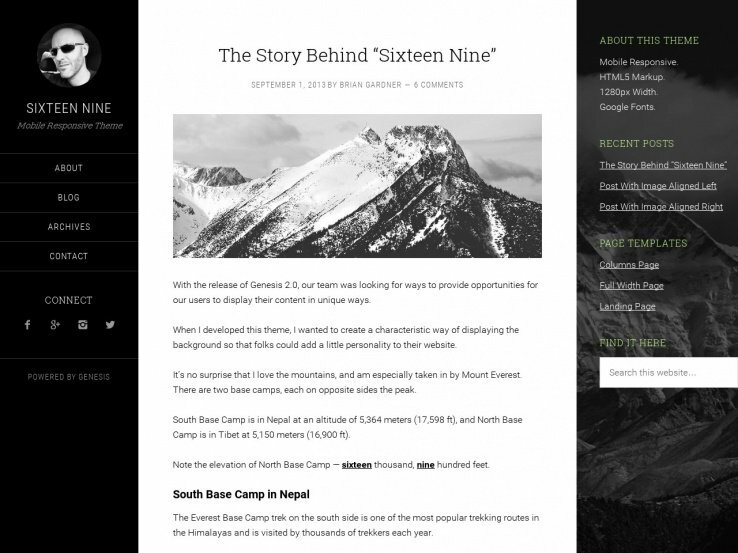 The Altitude-Pro theme is another gem from the folks at StudioPress and it provides attention-grabbing parallax effects and a beautiful responsive layout for viewing on mobile devices. The color styles and custom background photos allow you to easily incorporate your own branding. Customization also comes in the form of a custom header, which means you can easily add your own logo to build brand recognition. Try out the landing page layout to bring your services or products into focus. The theme customizer allows you to easily customize your website without the need to touch a single line of code. 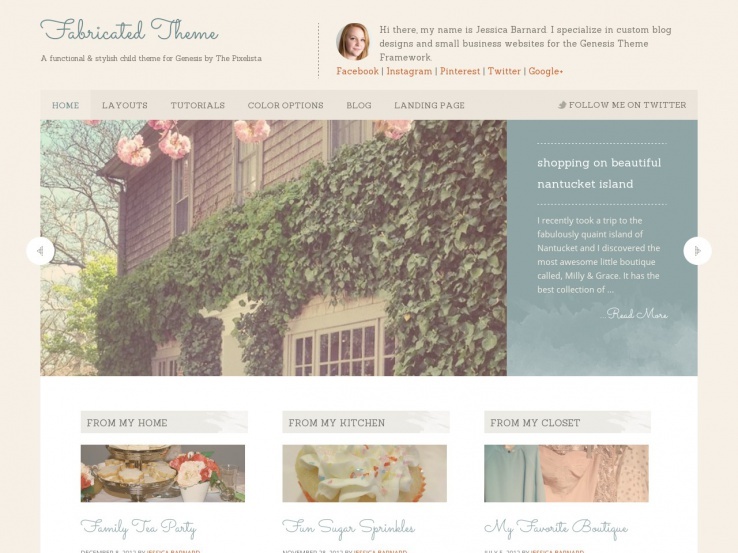 The Fabricated child theme has a responsive design and feminine design elements that make it a great choice for any female blogger or business owner. The slider covers a significant amount of the homepage, letting you feature your latest posts or pages. Use the landing page for sales purposes, and check out the various color styles to easily integrate your brand into your website. The elegant child theme features an interesting About Me or About Us area at the very top of the homepage. This lets you explain a little about your site and even link up your social pages for increased interaction. Incorporate pictures from your Instagram and use the widgetized footer for recent posts, contact information, and links. 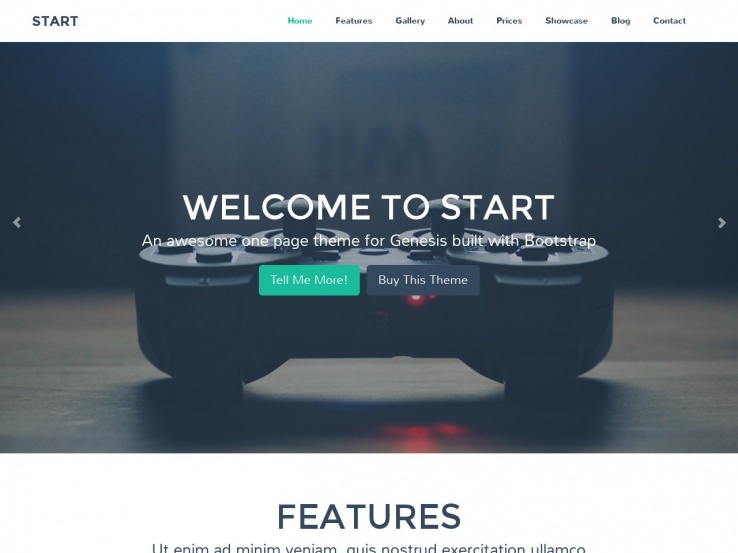 Start is a great theme for those who want a stunning design and plenty of customization options. Overall, the parallax scrolling effect is the area that stands out the most, adding a beautiful visual effect without slowing down your website. Create a section on your homepage to display information about your company or your team or consider a filterable gallery to share your portfolio or to simply to show off some pictures from a recent event. The theme includes various other sections for your homepage, including a spot to feature your team members, a pricing section, and a testimonials area. The theme also has a blog area and you can use FontAwesome icons to highlight different sections of your website. Check out the Recreate child theme if you want an option with 10 color schemes and a responsive design. The FlexSlider plugin is a wonderful addition, allowing you to upload photos, add text, and even include a few buttons that prompt people to click through to other parts of your website. The theme also includes plenty of page layouts, which means you can easily add some variety to your website. The child theme offers a styled mailing list subscription form and an area in the footer to add various widgets. These widgets may have latest tweets, About information, contact details, and more. 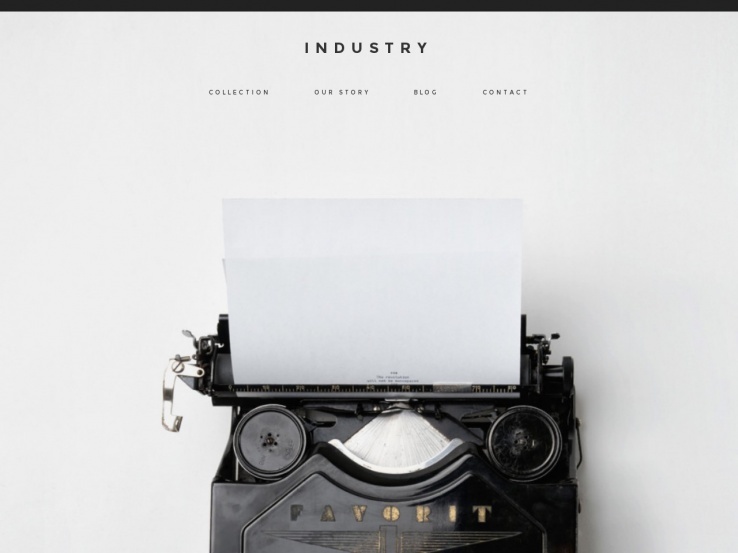 The Industry theme has a modern and minimalist design and plenty of white space to put all the focus on your work. The fully responsive design looks great on all devices and the scrolling homepage allows you to remove or add certain sections to meet the needs of your business. The Industry theme is built on the Genesis Framework, making it more versatile in terms of design changes. The dynamic masonry grid layout is perfect for presenting a portfolio. Use the live theme customizer to see your changes before going live, and consider using the logo uploader to build brand recognition. 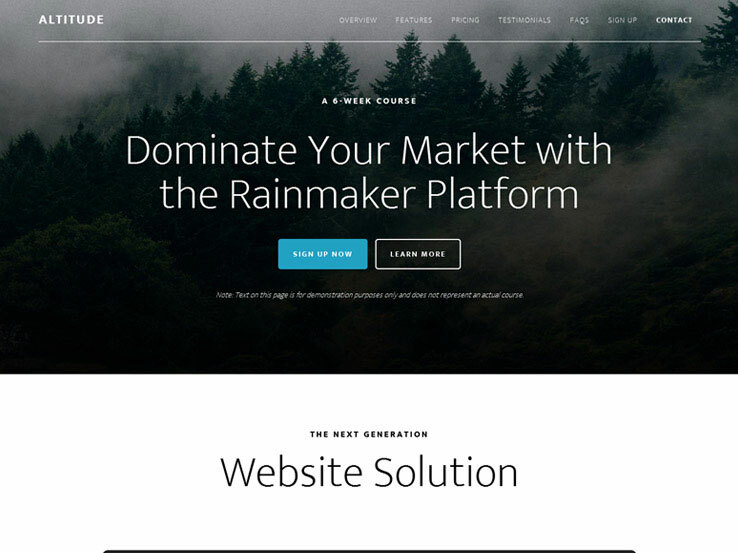 The full-width blog design only adds to the minimalist nature of the theme while the mailing list integration allows you to easily connect services like MailChimp and AWeber. With sample photos and demo content to ensure you don’t start your design from scratch, the Industry WordPress theme is a solid Genesis Framework choice. If you’ve played around with Genesis in the past, you know that it’s one of the easiest ways to make customizations and changes to your website, especially when you’re looking to rebrand. Restaurants especially are known to rebrand often so using a Genesis child theme is a great choice. The Cafe Pro theme is built primarily for food websites and restaurants, but thanks to its customization options, just about any type of business could take the theme and turn it into something unique. The majority of the theme works with widgets allowing you to simply drag and drop elements into place. You can share information like your hours of operation, address, and other contact information on every page. 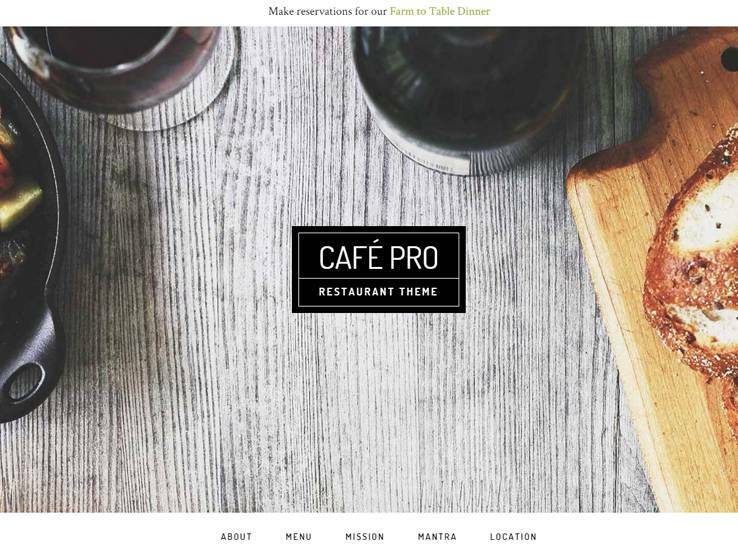 The Cafe Pro WordPress theme is completely responsive and it uses custom page templates that allow you to create pages for archives, landing pages, and blog posts. Four homepage widget areas are available that make it easy to create your homepage. Also, the customizable header allows you to add your logo with a click of a button. The entire header features a parallax background to add visual appeal to your website along with an overlaying logo. Several rows throughout the homepage use the parallax effect and you can show off your menu in a sleek module right on the first page. Along with social media links and a quick email subscribe form, this is one of the best Genesis themes for connecting with your customers. 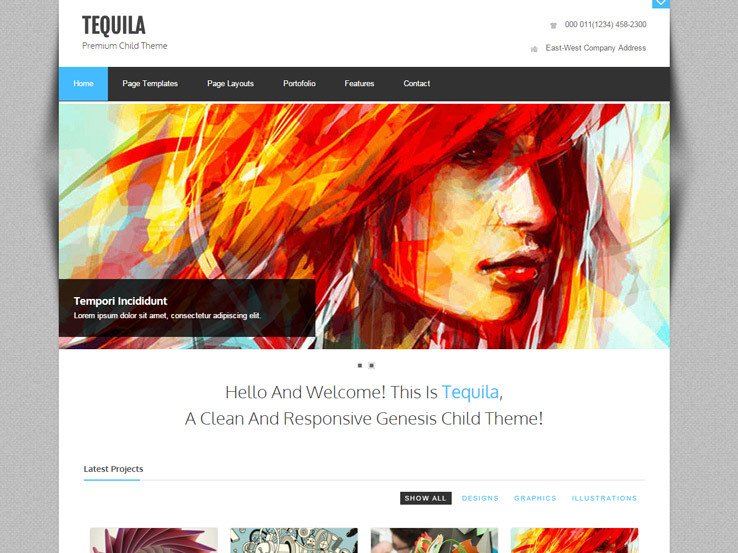 The Tequila WordPress theme is designed particularly for creatives, agencies, bloggers, and businesses. It offers a more creative look with white space and quite a few color options to choose from. The fixed-width design can be modified if needed, and the logo has a quick upload button. All of your contact information sits towards the top of the page, which allows potential visitors to get in touch with you quickly. A standout feature is a built-in slider, which provides overlaying text and support for some high-resolution photos. Add a brief description of your company at the top and enjoy all the benefits of the responsive design. The main feature is the portfolio, which displays your latest work as elegant thumbnails and offers filters for your potential clients to easily find the type of work they are interested in. Translation files are also included in the Tequila theme, allowing you to easily translate your website. Showcase information about your team, including pictures, titles, descriptions, and social media links. Various other widgets come with Tequila, so feel free to implement anything from recent post lists to Flickr photo galleries. The Macaron WordPress theme is yet another Genesis child theme featuring a clean, white design that can easily be customized. Several spots are available for ads, making it easier to monetize your website. As is the case with most Genesis themes, Macaron offers a custom email subscribe form that displays in a horizontal layout. The theme is geared towards food bloggers and websites so a recipe index is included to organize your recipes and make it easy for your visitors to find the recipe they want. Upload a retina header and utilize the translation settings to quickly add another language to your website. 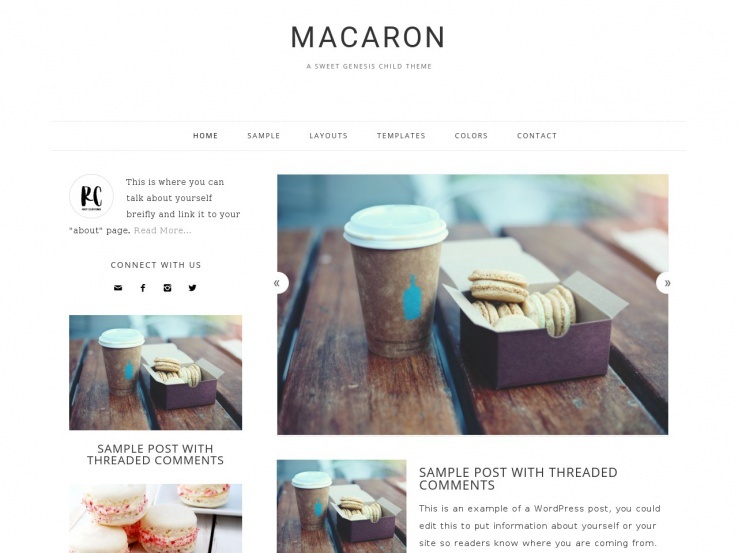 Several plugins either integrate or come with the Macaron WordPress theme. One of them is Jetpack, while another is Simple Social Icons, a remarkably simple solution for getting people to follow you on places like Facebook and Twitter. The Genesis Responsive Slider allows you to feature photos in an elegant way. In addition, the theme integrates with the following plugins: Easy Recipe, Genesis eNews Extended, Gravity Forms, and Genesis Latest Tweets. With a responsive layout, you can’t go wrong with this one. 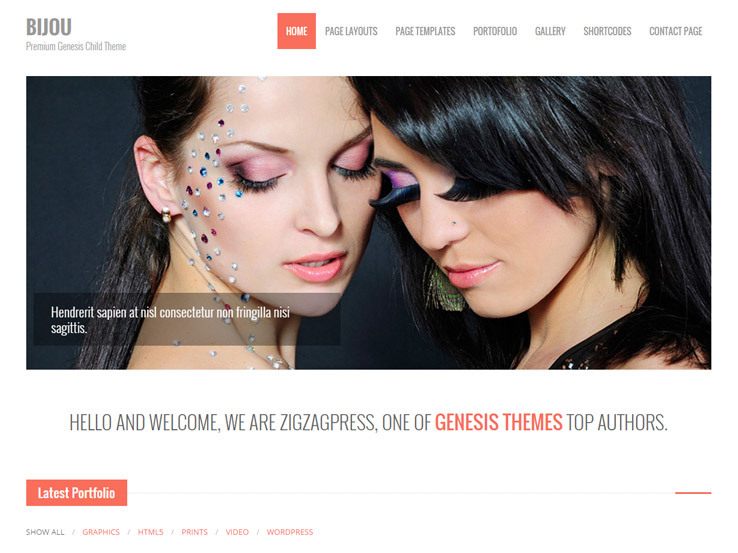 Just keep in mind that you must purchase the Genesis Framework in addition to the child theme. The Outreach WordPress theme is also developed by the team at StudioPress, which is the company responsible for the Genesis Framework. 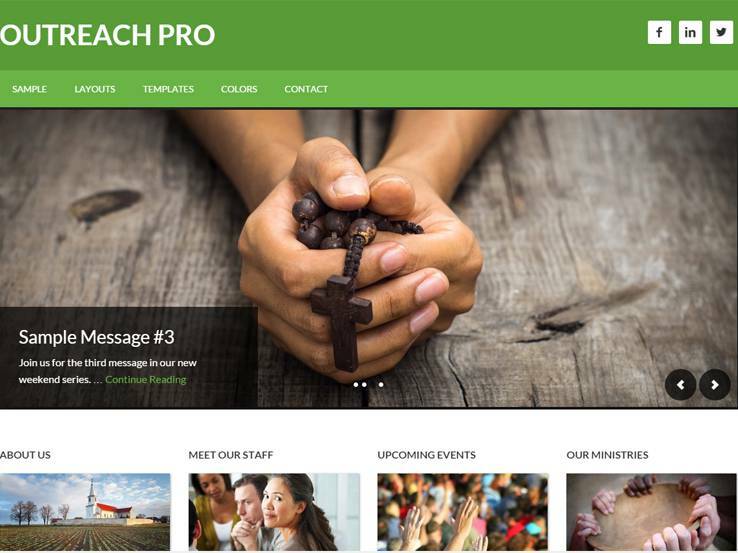 The theme is best-suited for churches, religious organizations, and non-profits. You can use it for a different purpose, but the general features and stock settings are all configured more for a charitable institution. The theme is completely responsive with six layout options that add more variety throughout your website, while the custom header and featured images help you add your own style to the theme. Threaded comments encourage interaction, and you can easily reply to any comments on your website. The theme customizer is located on the back-end, which allows you to set up your theme just the way you want it. Social media buttons are included in the theme and a newsletter subscription widget can easily be added to any of the widget areas. Overall, this is a mainly informational site, but you can also integrate WooCommerce and some of the other plugins that allow you to monetize your website. Colors, templates, and layouts are straightforward and easy to use and with quick modifications, you can easily create a website that stands out from the competition. Bijou comes from the folks over at Zigzagpress and it features a beautiful, clean portfolio layout suitable for any creative agency or freelancer. The theme includes a stylish slider which you can use to promote your services or your products if you have them. You can enter a welcome message for your visitors or use that area as your call to action and send visitors to your Hire Me form. The portfolio can be sorted by the type of project, and each thumbnail leads to a separate project page where you can include more details about it. Use the blog section to attract traffic to your website by sharing case studies or advanced tips and tricks with your audience. 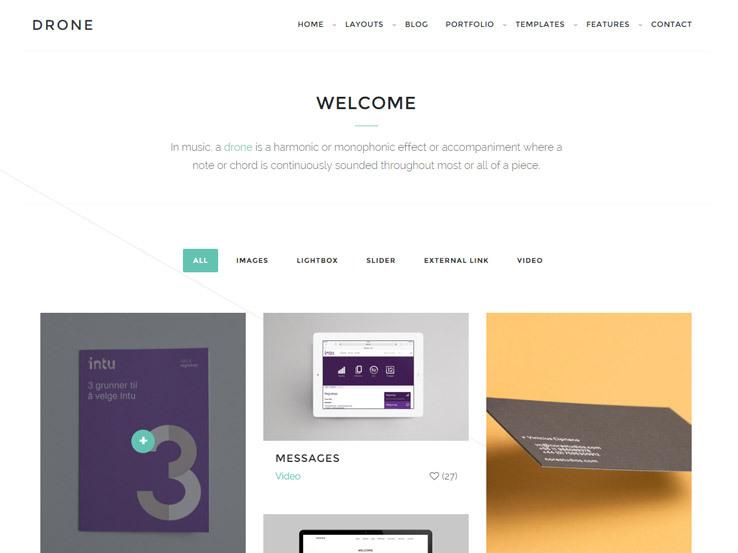 The theme comes with several page layouts, which are nice for adding variety to your design. Custom shortcodes allow you to add buttons, columns, drop caps, and more without having to touch a single line of code. The theme can be easily customized through the back-end where you can change colors and fonts and the responsive design ensures your website will look good no matter which device your visitors are using. Along with SEO-optimization and localization files, the Bijou theme has all the tools to share your creativity with the world so be sure to check it out. 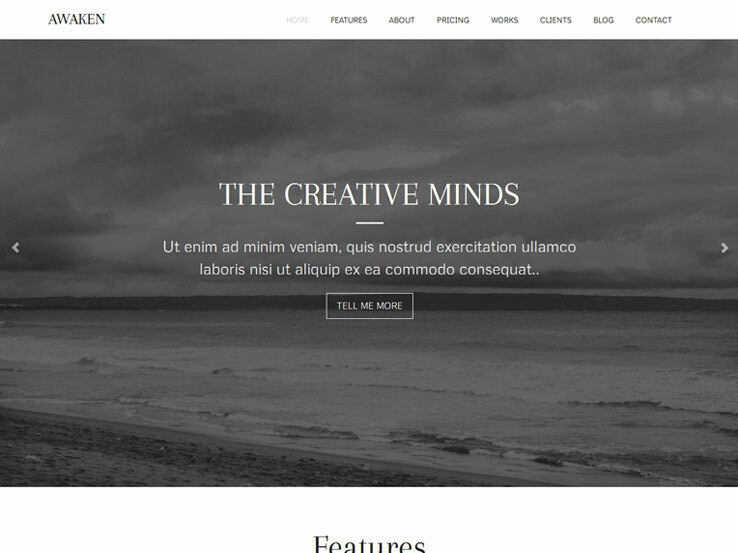 Minimum features a large header image that is sure to draw the attention of your visitors. Just below, there’s a call to action that you can use to send visitors to your portfolio page or to your booking form or even a sales page if you’re selling a product. The area right below features large social media icons, which are perfect if you’re trying to build a following. Your blog posts are organized in a minimal grid and each one of them has a widget area where you can add your email signup form or a custom call to action. The back-end allows you to customize the theme to your liking, and you can take advantage of various page templates and layouts to add variety to your website. A landing page template is also included so you can build a simple sales page. The theme also comes with a portfolio page so you can easily feature your past projects. Minimum is a responsive theme, and it’s also SEO-optimized and localization-ready so you can easily translate the website and attract clients from all over the world. If you’re looking for a minimalist theme, we recommend you give this theme a try. 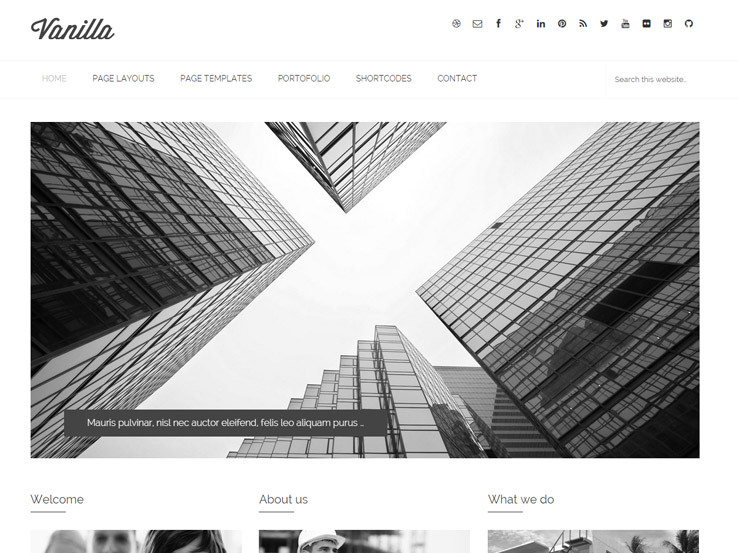 Vanilla is another clean theme suitable for small businesses. The theme starts off with a large slider that is perfect for promoting your services or latest blog posts. The three widgets below are an easy way to display your services and to share a brief description about your company. A filterable portfolio makes it easy for potential clients to find work that best relates to their project. The theme also includes a blog page where you can share industry tips with your audience and demonstrate your knowledge. Several shortcodes are included with the Vanilla theme so you can easily add buttons, lists, columns, and more without needing to code them yourself. You can change the colors, fonts, and more on the back-end, and the Vanilla theme includes localization files for easy translation of your entire website. This means you can expand your reach and work with clients from all over the world. This theme is also fully responsive so you can rest assured even visitors on mobile devices will be able to see all of your content. Along with SEO optimization, several page layouts, and full browser support, the Vanilla theme is packed with features needed for a successful small business website so give it a try for your website. 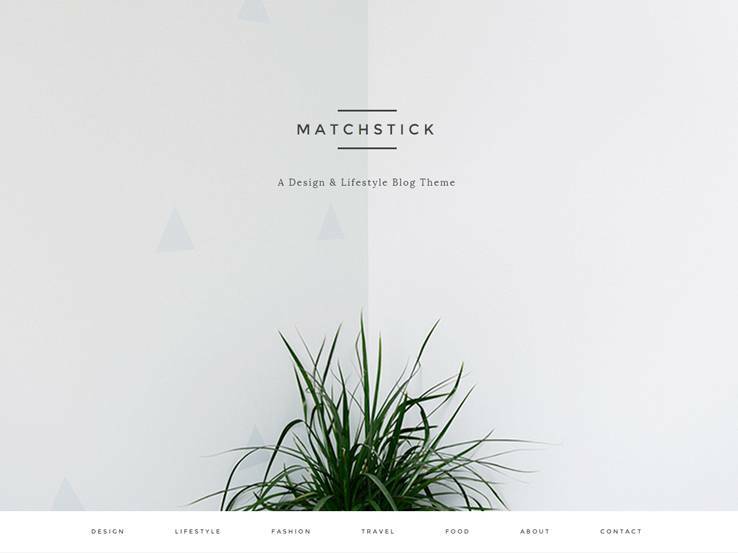 If you’re interested in a child theme with a masonry-style layout, Matchstick is a good place to start. The fully responsive design looks wonderful on all devices and the blog header image is one of the best ways to grab attention once people land on your site. The child theme includes a parallax effect that adds visual appeal, and the menu is right below the header area, making sure your navigation is easily accessible. All blog posts sit towards the middle of the homepage, with content previews and featured image thumbnails that convince users to click through. The live theme customizer allows you to preview what your site looks like before going live. Not to mention the mailing list integration works perfectly with services like Constant Contact and AWeber. Wow.. 🙂 It’s an storehouse of theme for free. A very nice collection Evan. 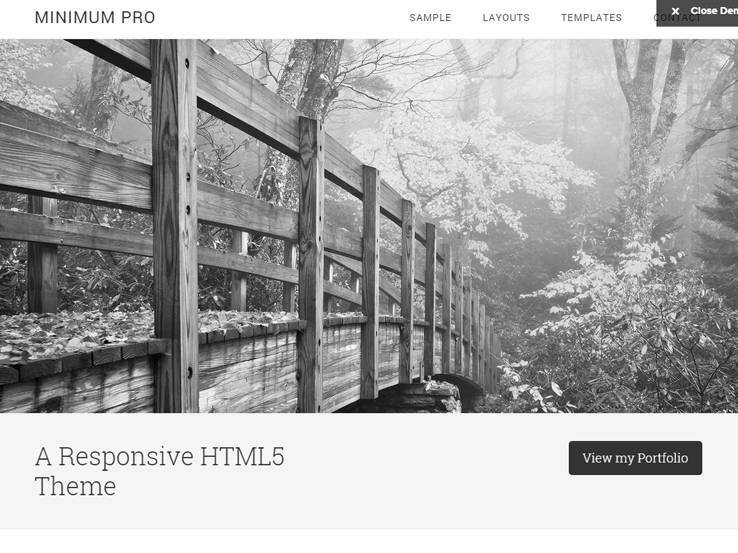 I use Parallax Pro for my blog. It is really fantastic. But the theme header is somewhat distracting. Hi, Evan. I use cafe pro for my blog. This is awesome and very easy to customize. Thanks Janet for the feedback, and I am happy Cafe Pro worked for you. Hey Evan, nice list with some great themes. 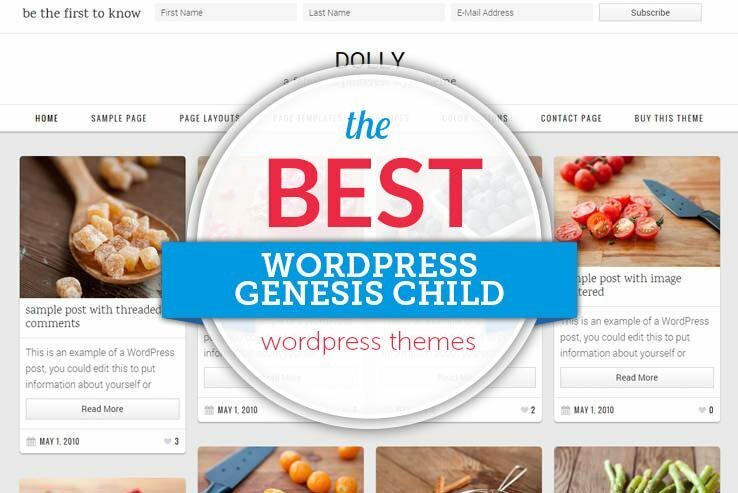 We’ve just released some Genesis child themes and would love for you to add them to the list! Happy to send through some freebies for you to check out. Hi Seo Themes, you can send me the info at Sarah@nimbusthemes.com. Thanks for your awesome post on genesis child themes. Hope users will get worthy information from your post and utilize that in their respective sites.